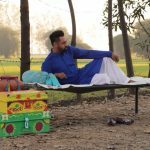 One of the most popular superstars of Punjabi Cinema, Gippy Grewal’s latest offering Carry On Jatt 2 has set a new benchmark for Punjabi films. As expected, the romantic comedy has got succeed to entertain everyone and getting an outstanding response from the fans as well as the audience worldwide. 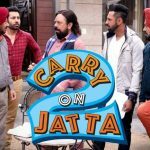 Directed by Smeep Kang, Carry On Jatta 2 is the second installment of the very successful Punjabi franchise Carry On Jatta that was begun in 2012. For its crazy story-line, humorous dialogues and hilarious performances by all the actors, the film has received very positive reviews from all the viewers including critics. 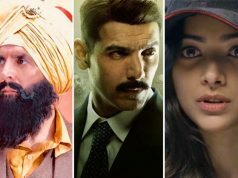 Alongside Gippy Grewal, White Hill Studios’ presentation stars the beautiful Sonam Bajwa as a leading lady and has a strong supporting cast that includes Gurpreet Ghuggi, Binnu Dhillon, Jaswinder Bhalla & B.N. Sharma. Undoubtedly, heir presence has increased the level of entertainment and made the new installment funnier than ever. On the opening day, Carry On Jatta 2 took a bumper start and remained strong throughout. It did the business of 3.67 crores gross (3.05 crores gross from Punjab) on Friday and become the highest opener of all time in Punjabi cinema and Gippy’s career as well. On the next day i.e. 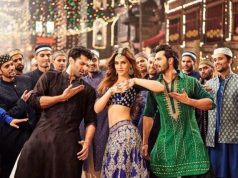 Saturday, the film witnessed fair growth in footfalls across North India and has done the business of 4.26 crores. With this, the total collection of Carry On Jatta 2 after 2 days has become 7.93 crores gross at the domestic box office. Sunday is expected to result in higher business.